In Bucks County, PA, we experience the full spectrum of all four seasons. We see heavy rainfalls, thunder and lightening, snow, ice, blizzards, strong and light winds, and blisteringly hot, sunny days. Our area has beautiful natural scenery that truly adds to the look and atmosphere of living here. Unfortunately, those tall trees can’t always stand up to the challenges that spring, summer, fall, and winter bring. We’ve all seen trees which were damaged by the weather. 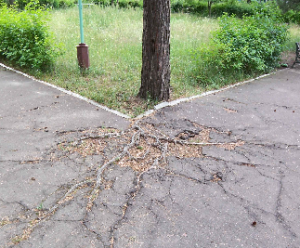 Trees split, fall, become damaged, or uproot. They can fall on homes, cars, fences, electrical wires, and other property. Dealing with a fallen or damaged tree can be difficult or dangerous. The weight of the tree or limb can cause more damage if not taken care of as soon as possible. The best way to try to prevent damage to your trees is to take preventative measures before a storm hits. If you have a large, unsightly tree stump hanging around your yard, you might think that there are no options strong enough to remove it. However, our tree removal experts in the Philadelphia, PA area know that with a little planning, the right technique, and some elbow grease, even the toughest of stumps can be removed quickly and safely. The first thing you need to know about stump removal is that the best course of action is usually to call a professional. Tree stumps in our yards can be a huge eyesore, so it can be tempting to try and rip them out of the ground ourselves. However, removing a tree stump isn’t as simple as grabbing a shovel and going to town on it- you would have to educate yourself on the best course of action depending on the type of stump and purchase costly equipment. Additionally, the time spent on removing the stump could be better spent on other household projects, making the tree stump removing more of a time sink than a financial one. Together, these factors can make the cost of removing a stump much higher than if you would have hired a professional. By turning to us for your tree services in Philadelphia, PA, you will receive the results you are seeking. Hiring a professional is a one-time expense, and will equal out to less than you would spend purchasing the needed equipment to remove the stump, plus you can spend the time you would have used on research and removing the stump to enjoy yourself. Additionally, our professionals have experience removing stumps and other types of tree debris, so they can get the job done quickly and with less of a chance of injury. If you have a stump that needs to be removed, we encourage you to call us here at Rick’s Expert Tree Service today. At Rick’s Expert Tree Service, we are dedicated to providing you with comprehensive tree services in the Philadelphia, PA region. Check out our infographic to see what this inspection entails. If you wish to learn more about our services such as tree removal in Philadelphia, PA, we encourage you to contact us today! Late October is reserved for creative costumes, candy, tricks and treats. This blog will come in the form of a trick and a treat: a (fun) quiz! How many leaves does it take to grow a big, Delicious apple? What is the minimum soil temperature required to allow for root growth? Which of the following do not grow on trees? From what tree do we harvest some of the densest, darkest black wood? True or False: Trees first appeared on Earth long before the dinosaurs did – about 400 million years ago. Trees produce ____ and reduce the amount of carbon dioxide in the atmosphere. About ___ of the United States is covered by forests. True or false: A tree is a plant. What is the name of the tree that stars in Marvel’s Guardians of the Galaxy? Ten questions seems like a fair way to start. How do you think you did? Were you surprised by the amount of fun facts there are about trees, roots, and forests? 5-7 Correct Answers – Worthy Of Celebration. 8-9 Correct Answers – Very, Very, Very Impressive! 10 Correct Answers – Certified 5-Star Tree Genius!! We hope you enjoyed this quiz. Stay tuned for more “Get Stumped” Tree Trivia in the near future. In the meantime, call 215-785-2168 if you need stump grinding or tree removal in the Philadelphia, PA, area! Call us up; that tree’s no more. Rick’s Expert Tree Service has been operating for over 15 years with one goal in mind: Safely removing unwanted branches, trees, limbs and stumps from our neighbors’ yards across Bucks County and Philadelphia. Trees can often obstruct views, become tangled with wires, attract wild animals and fall during a storm. Our expertise in handling all of these issues is why families and businesses entrust us with their tree removal needs in Philadelphia, PA, and nearby towns. By calling us to nip these problems in the bud, our customers enjoy peace of mind, knowing that they are in good hands with our services. We are insured, and we offer free estimates. Our work speaks for itself. About 85% of our new customers are from word-of-mouth referrals. Gather the proper protective wear and gear for the job. Helmets, rope, chainsaws and wood chippers are a few of the tools you may need. Email us if you have any questions. We offer free estimates and affordable packages, so you don’t have to do difficult, dangerous jobs by yourself. Remove the large, main branches of the tree first. Having access to a cherry picker/basket crane is the safest, most reliable method. We do not recommend that untrained arborists tackle large jobs with ladders. The reward of getting your tree down does not outweigh the risk of somebody getting hurt. Jobs that involve cutting down a high volume of large branches are best left to the pros. If you are looking to cut down full trees, it will involve different techniques of cutting, planning and execution. Rick’s Expert Tree Service takes pride in being quick and efficient. We handle stump grinding, root removals, and complete tree extraction. no matter how monstrous it is in size. Our arborists, climbers and ground crew are regularly trained to make sure every job is professionally done. 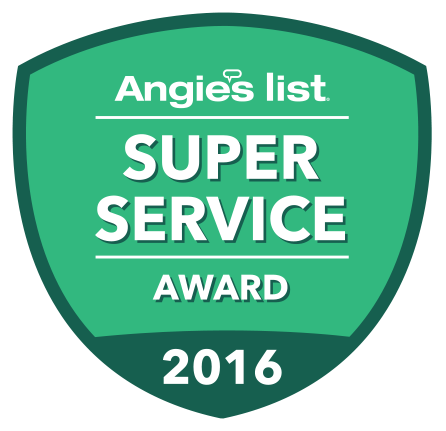 We pride ourselves on cleaning properties, answering questions, and providing superior customer service for every project. If you want to learn more about our tree services across Philadelphia, PA, and Bucks County, call us today at 215-287-2168. Q: What month do trees dread the most? 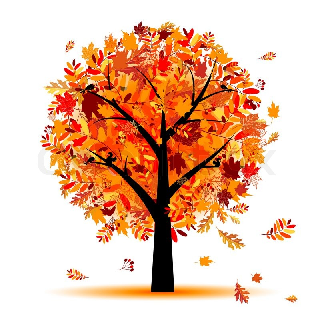 There are many circumstances that warrant tree services around Southampton, PA. From blizzards to thunderstorms, there always seems to be something tampering with your yard’s lifeforms. Sometimes, to find the ‘root’ cause of a problem, you have to start at the bottom. Roots can cause many types of damage. First, they can become invasive and hazardous to people who walk by. They can split pavement and cause uneven ground. This is extra dangerous for bikes, strollers, skaters, and joggers. Secondly, roots can grow up against underground structures such as pipelines. This could cause severe damage and catastrophic consequences if a pipe were to break. If you suspect sewer infringement, contact a plumbing expert immediately. Fallen trees can hit electric lines, houses, cars, and people. Nip this problem in the bud by calling us. Rick’s Expert Tree Services has been offering Levittown, PA, tree services (including tree trimming and stump grinding) for years. We handle the dirty [and dangerous] work so you don’t have to. We provide professional, affordable tree trimming across Bucks County, PA, year round. Ok… so let’s say a tree already fell. You overlooked the warning signs, but luckily everybody is okay. It happens. Now what? Nice try… but, you can’t STUMP us that easily. This is where our stump grinding experts step in. It takes the Experts at Rick’s (the original Rick’s) to make this job look easy. We swiftly remove the tree and then grind the stump down to your preferences to make sure it is safe and not in the way. We clean up after ourselves as if we were never there. Now that you know some warning signs and causes of tree-related hazards – do a quick walkthrough of your yard, and if something looks a bit off; let us know! We are here to help! Tree Service 101 – The Who, What, Where, Why, and When? In case you are new to the site, let us give you a quick introduction. Rick’s Expert Tree Service has been providing high-quality jobs for over 20 years! The services we are known for include Pruning, Stump Grinding, Tree Removal, Firewood, Lot Clearing, and Emergency Services. We act quickly and always leave the property in great condition. We are different than the competition. We don’t ask for payments until the job is complete. Our pricing is straightforward, and client satisfaction is ALWAYS priority #1. And Many Others – Basically ALL of Bucks County and the surrounding communities! Ask us about our recent tree removals in Richboro, PA, as well as Holland, Newtown, and the entire Council Rock School District! Who are Republican trees voting for this upcoming election? Democratic party prefers Hillar-tree Clinton. No matter which BRANCH of Congress you support… it should be a good race. To learn more about our wide variety of offerings, ranging from tree services in Richboro, PA, to stump grinding in New Hope and Ivyland, check out http://www.ricksexperttreeservice.com/services/ or call us at 215-785-2168. For updates, photos, and special promotions, check out our Facebook page at https://www.facebook.com/ricksexperttreeservice. It’s no coincidence that 96% of our 57 reviews are perfect 5-star reviews! Rick’s Expert Tree Service is no stranger to tree stump removal around Holland, PA. In fact, we’ve been specializing in tree services around Philadelphia, PA, and Bucks County for over 20 years! Over that period, we have accrued valuable knowledge and experience, which has helped us evolve as a company and improve our processes’ efficiency and quality. Full-service is an understatement. It’s hard to stump us when asking about tree services near New Hope, PA, Southampton, PA, and the entire Greater Philadelphia Area. Tree Removal – Dead or dying trees can become hazardous to you and your loved ones. Branches can also become a concern. Sometimes they grow into a home, and sometimes the branches fall off and can damage individuals and their possessions. Once we remove the tree, we will clean up all of the debris and handle the stump however you prefer. Pruning – We offer many options when it comes to clearing and removing unwanted limbs. Eliminating sick and dying branches revitalizes the trees and the property as a whole. Overgrowths can be reduced and reshaped to leave trees looking and feeling happy and healthy. Stump Grinding – We will grind stumps down 6”-12” below the surface of the topsoil so you can plant new trees and shrubs. This dramatically enhances your property’s aesthetics and functionality. Firewood – Bundles of firewood start at only $5! We also can create wood piles from the trees we remove from your home for added convenience. Lot Clearing – We remove all trees, shrubs, bushes, vines, and other growths that you do not want. Whether you need to make room for a pool or a swing set (or whatever you want), we can help! Emergency Storm Service – When storms hit, it often requires tree removal in Lower Makefield, PA, and all of the tree-filled towns around. One of the many offerings that Rick’s Expert Tree Service handles so you don’t have to. Commercial Snow Removal – In the winter, our trucks are equipped with plows and four-wheel drive to help local businesses clear out parking lots, drive-throughs, and areas nearby to your company. Now you see why we have the word ‘Expert’ in our name. Speaking of experts that are hard to stump… POP QUIZ! Who is the all-time winningest Jeopardy contestant? The Answer: Ken Jennings – This guy is brilliant, making it on 74 games of Jeopardy for over $2,500,00 in total winnings! What local musical group is preferred by trees across Philadelphia? Jokes aside, if you are on the Rick’s Expert Tree Service website you’ve probably already seen all of the services we provide, so this month we will BRANCH out and give you some fresh material regarding four of the world’s oldest living trees. Unnamed – In White Mountains, California, there is a Great Basin Bristlecone Pine determined to be 5,065 years old by Tom Harlan. This mystery tree is standing its ground century after century. When asked what the secret to aging so gracefully is, the tree responded: “SPF 50.” [That is a joke. Trees do not talk (to me at least)]. Gran Abuelo – This Patagonian cypress resides in Chile and is located within Alerce Costero National Park. Gran Abuelo has seen it all in the last 3,645 years. Although we are not quite that seasoned, Rick’s Expert Tree Service has over 20 years of experiencing servicing Bucks County. 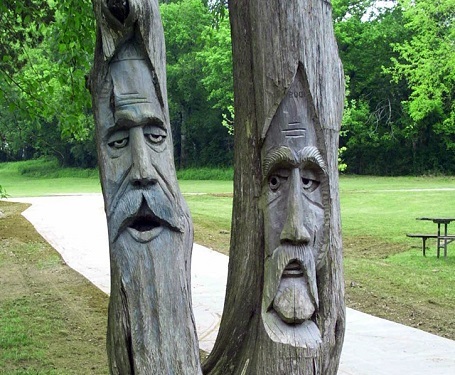 We specialize in New Hope tree removal, but don’t tell the trees that! The President – This big guy resides in Sierra Nevada, California. He’s a giant sequoia located in the appropriately named Giant Forest of Sequoia National Park. Rick’s Expert Tree Service has been around a while, but we are not old. We are ORIGINAL. We are experienced. Customer service is paramount to us. That’s why we do not require a down payment or make you sign a contract. Our work speaks for itself. We don’t get paid until the job is 100% complete. We offer incredible tree service in Yardley, Morrisville, Bensalem, Langhorne, and beyond! From New Hope tree removal to stump grinding and shrub pruning in Newtown, we pride ourselves on being the premier Bucks County tree company! Thanks for reading. Enjoy your day. That’s a trick question; If a tree falls, Rick Horger and his dedicated team of experts are always around to help. No Contract or Down Payment Required: Our service does the talking for us. Unlike other tree service companies in the area, we don’t need a legal agreement to bring our customers back for repeat business. All of our jobs will be fully completed and approved by the client before we ask for payment. Originality: When you think of tree services around New Hope, PA, and Bucks County, only one name comes to mind; Rick Horger. Since a youngster, Rick has always had a passion for helping his neighbors, friends, and family with their arbor solution needs! Before he founded Rick’s Expert Tree Service, he was managing his own crew at the age of sixteen. The Most Professional: Rick’s Expert Tree Service is insured and reliable. We have ISA certified employees on staff. We abide by industry guidelines, and our employees are members of the International Society of Arboriculture and the Tree Care Industry Association. Our dedication is what leads to so many referrals and rave reviews! We Do It All: In addition to safely and efficiently removing trees, we also offer stump grinding to leave your property looking great. Other services that we are known for include plant health care, firewood, tree pruning, lot clearing, snow removal, and emergency storm service. In conclusion, a lot of companies throw around the phrase “expert”, but to Rick’s Expert Tree Service, it’s more than just a word. It’s a way of life. Our staff of dedicated arborists takes pride in everything we do. We have been in the tree business for over 20 years, and we maintain the best reputation in all of Bucks County! Whether you need tree removal in New Hope, PA, or tree services in Levittown, PA, we are here for you! To schedule a free consultation, you can visit http://ricksexperttreeservice.com, call 215-785-2168, or email jodiehorger@gmail.com.